Popcap Games gives us a look at some brand new pre-alpha gameplay for Plants vs. Zombies Garden Warfare 2. 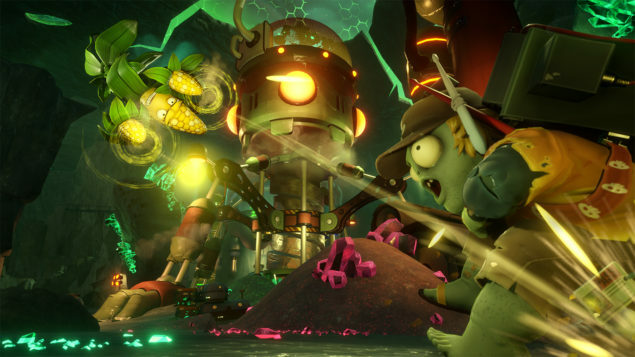 Chris Fox, Lead Designer for Plants vs. Zombies Garden Warfare 2, showcases the six new character classes as well as their abilities and strategies in defending Zomburbia. The six new character classes join the original eight for a total of fourteen character classes, giving us over 100 playable characters, including variants. You can view the latest Plants vs. Zombies developement diary below. The struggle for Zomburbia has come into full bloom, with maps bursting with personality and humor, Zombossified cityscapes, and crowded airspaces, all layered with hidden secrets waiting to be discovered. Bring even more strategic depth to this all-out botanical battle with 14 total character classes, and over 100 playable plants and zombies from the past, present, and future. Go solo playing against AI opponents or locally in split-screen co-op across any mode in the game (no Xbox Live Gold or PS Plus required). Fight for Zomburbia in 7 game modes – Go on the offensive as the plants in all-new 24-player Herbal Assault mode, or defend as the zombies in 4-player co-op in Graveyard Ops. 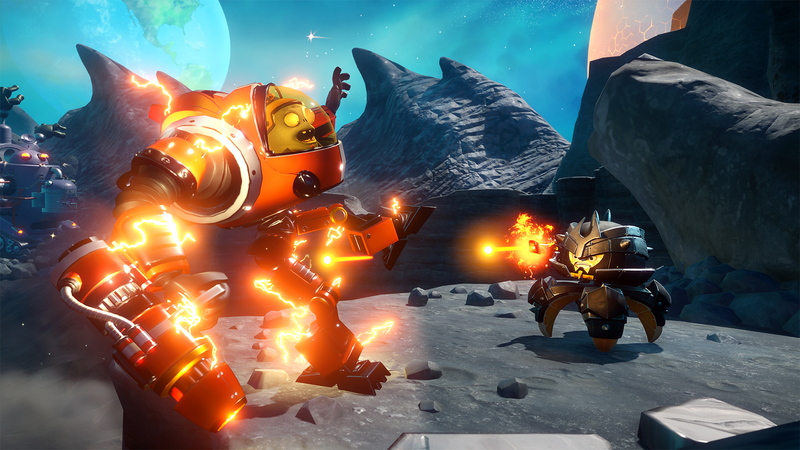 Garden Warfare 2 launches Spring 2016 for the PlayStation 4, Xbox One and PC. We will bring you any new information on Plants vs. Zombies Garden Warfare 2, as soon as it becomes available.